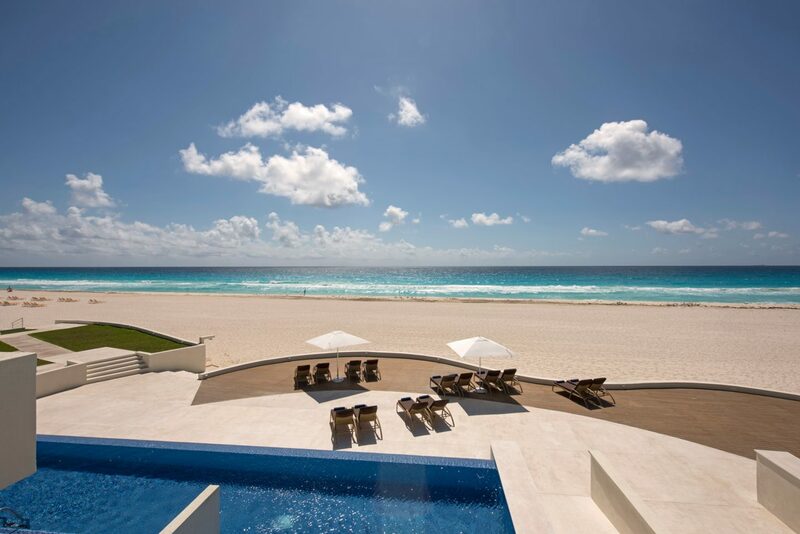 Long-hailed as one of Cancun’s best hotels, Le Blanc has earned its reputation through sleek contemporary style and impeccable service with high-end luxury. This all-inclusive resort is designed for adults only, featuring an exquisitely designed restaurant serving flavourful gourmet cuisine from France, Italy, Asia and beyond, as well as serenity-inducing guestrooms packed with amenities. What really draws in its customers, however, is the spectacular Le Blanc Spa. 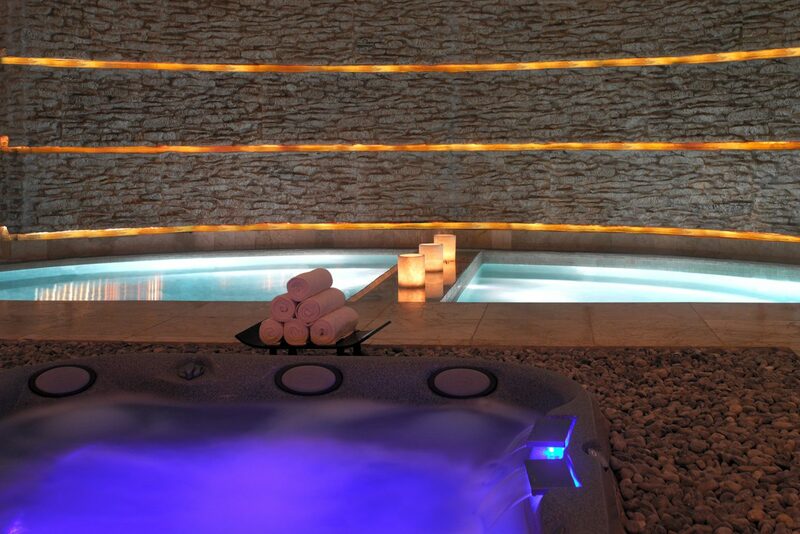 Here, travellers can simultaneously relax and stimulate the body in the hydrotherapy circuit by dipping into hot and cold pools of water, or embrace Cancun’s Mayan heritage with the Kukulcan massage, simulating sacred animals like the jaguar, snake and eagle through choreographed hand movements along the body. Enhance your body even further at Le Blanc’s fitness centre with TRX workouts, aqua spinning classes and pilates to stay in shape for the beach. 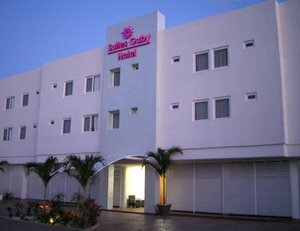 Just as its name suggests, this hotel offers travellers an affordable oasis in the heart of Downtown Cancun. Here you’ll find a charming pool and garden area for relaxation, and a central location walking distance from City Hall, the city’s main financial institutions, and the stylish eateries along Avenida Nader, Las Palapas Park and Plaza Las Americas mall. To get to the beach, you can catch a bus into the Hotel Zone at the busy bus stop just around the corner. The Oasis Smart also features a small spa and fitness centre, as well as smart cars available for rental so you can easily get around town. A coffee shop and lobby bar allow for quick and easy bites and drinks whether you’re starting your day or winding down for the evening. Slightly smaller and quieter than most Cancun resorts, this property is branded “adults oriented” and offers an idyllic setting for beachside relaxation. 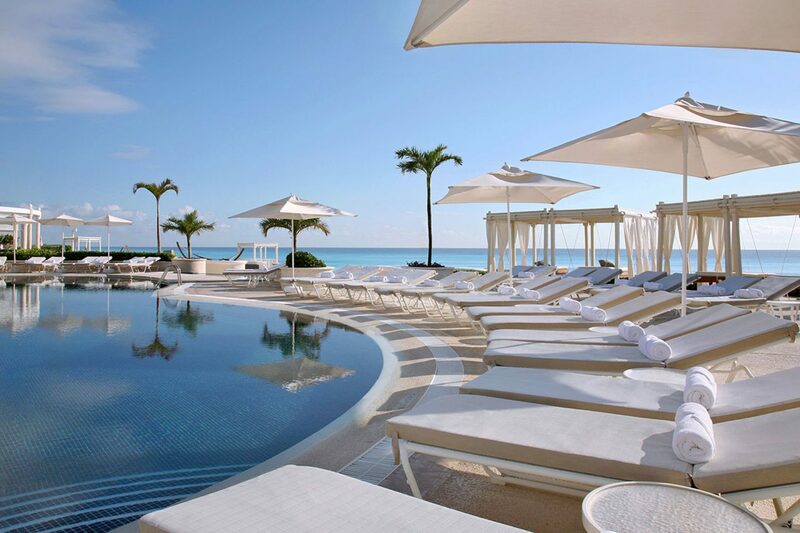 Sandos Cancun boasts one of the most beautiful pool areas in the Hotel Zone, with three infinity pools that descend down toward the beach and seem to blend with the waters of the Caribbean Sea. The resort’s all-inclusive program, titled the Total Gourmet Experience, gives you access to elegant dining options with a variety of gourmet cuisine, including a teppanyaki restaurant, an impressive breakfast buffet spread every morning, a modern Italian eatery with amazing ocean views and much more. Spa del Mar provides European-style spa treatments and luxurious facilities; make sure to try the Nausicaa treatment that combines steam, water, aromatherapy and colour therapy to renew the senses. A secluded location in the gorgeous Playa Mujeres area, just north of Cancun, provides the perfect setting for romance at the Beloved. Filled with serene white and beige tones, this boutique-style hotel has beautiful suites to choose from, each with a marble bathroom, sitting area, double jacuzzi, double shower, walk-in closet and private terrace. For added luxury, book your romantic getaway in a suite with swim-up access or a private plunge pool to cool off from the heat of the day. The all-inclusive plan provides access to The Beloved’s sleek bars and restaurants, including Mediterranean-inspired cuisine, Mexican flavours, a wood-oven grill, a swim-up bar and a ceviche bar. Indulge in a couple’s massage at The Beloved Spa, cleanse your energy in the indigenous Mexican temazcal ritual, or take in the panoramic ocean views with a rooftop spa treatment. With its abundance of gourmet options, the all-inclusive plan at this beach resort has justly earned the title “Unlimited Luxury”. Foodies vacationing in Cancun can find all the mouth-watering flavours and innovative dishes they could ask for at upscale Secrets The Vine. This adults-only resort features eight beautifully designed restaurants ranging from fresh seafood by the Caribbean Sea to Mediterranean cooking and stylish Asian cuisine, while the six on-site bars include premium wines and top-shelf drinks. If you’re looking for even more privileges and perks, book a stay with the hotel’s Preferred Club, offering butler service on your floor, even more top shelf liquors, and access to the private infinity pool on the 12th floor. The Hyatt Ziva boasts one of the best locations in Cancun, situated right at the tip of Punta Cancun and surrounded by the Caribbean Sea on three sides. This all-inclusive resort has two different beaches to choose from: on one side, a slightly rougher beach with cascading infinity pools and amazing Hotel Zone views, and on the other side, a calmer beach that’s perfect for swimming, snorkelling and water sports. In the centre of the resort sits a lagoon, home to a dolphin swim centre so guests can watch the dolphins play. 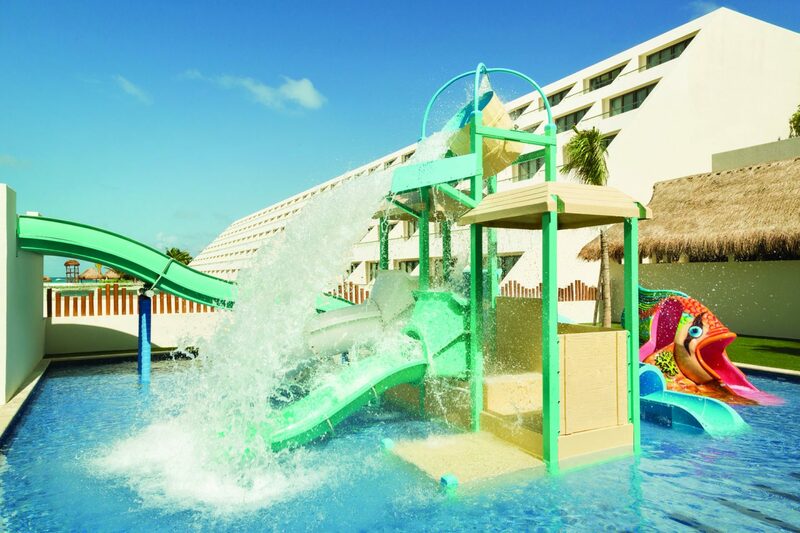 The Hyatt Ziva has one of the most loved kids’ clubs in Cancun, where your little ones will find a pool and water slide area just for them. Older kids can have a blast at the on-site arcade with video games, or try poolside activities organised by the Entertainment Team. 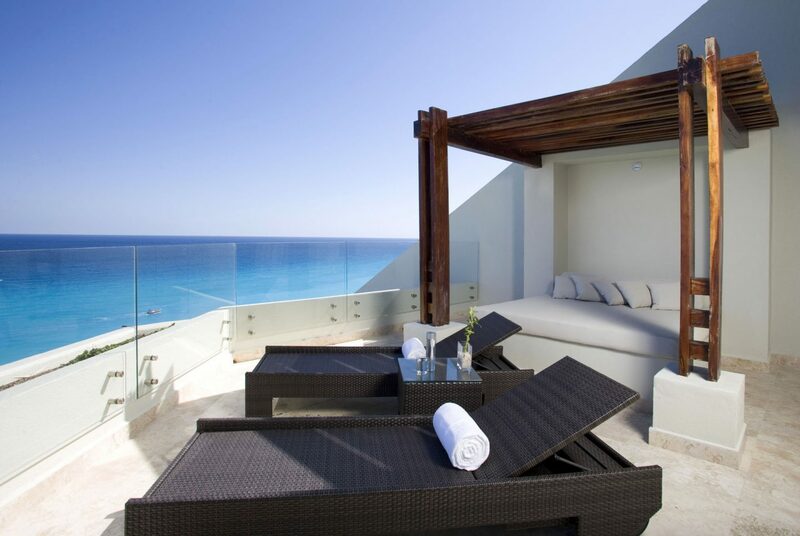 This hotel’s key draw comes from its amazing location right in the heart of Cancun’s main hotel strip. 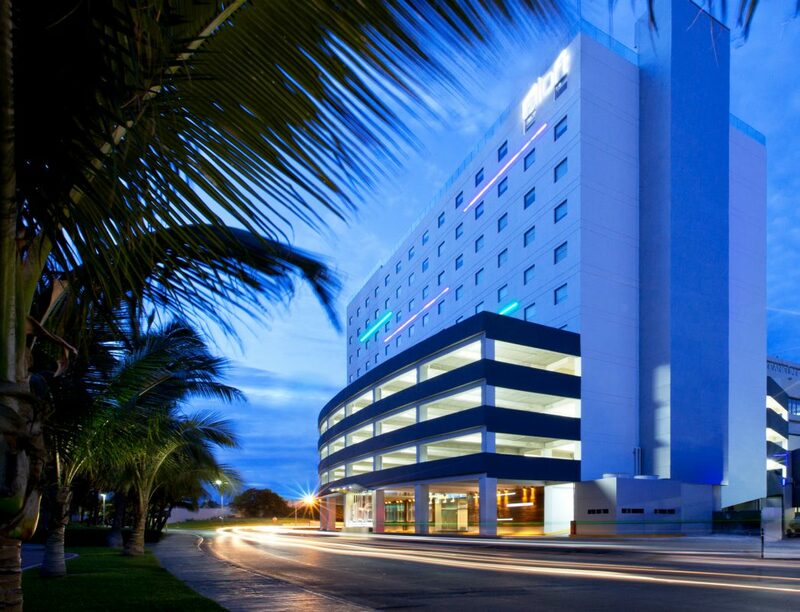 Set right in the bustling Punta Cancun area, the Aloft Cancun is just a quick walk from the Cancun Convention Center, two shopping centres, several public access beaches and the famed nightclubs of Party Center. While not located directly on the beach, this hotel offers a beautiful rooftop pool area with swim-up bar and amazing views of the ocean, lagoon and city skyline. For meetings, the hotel has a meeting room with a 50-inch flat screen TV and laptop hook up, as well as outdoor event space. During your stay, take advantage of amenities like fast and free WiFi, an on-site restaurant, a chic bar, a small fitness centre and a 24/7 pantry – perfect for whatever time zone you’re working with. 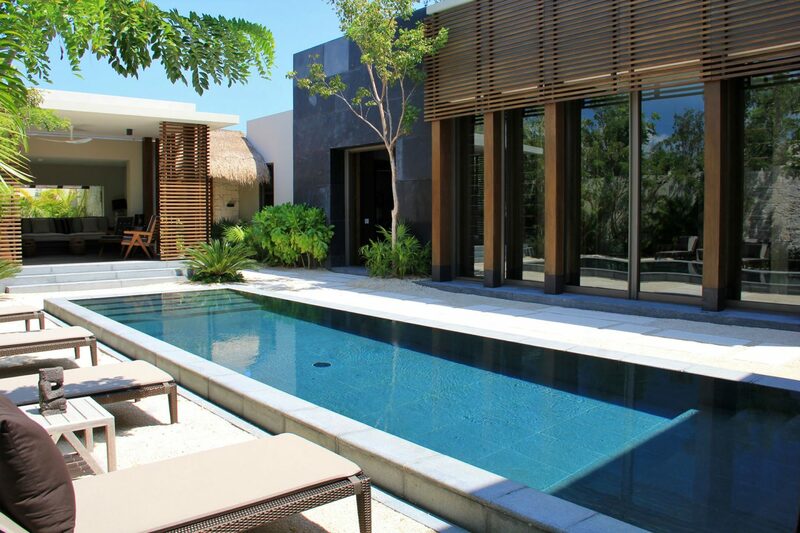 A dramatic contemporary style blends wood, stone, hints of Mayan-inspired details and gasp-inducing views at NIZUC Resort & Spa, nestled in the secluded enclave of Punta NIZUC, Cancun. The hotel’s renowned Mexican architect cleverly capitalised on its stunning locale, artfully blurring the lines between in and outside, with all possible spaces directed at those remarkable view. The breath-taking design extends to its cuisine too; each of the hotel’s six restaurants and bars comes big on style, offering Peruvian cuisine, Mediterranean dining, beachside Mexican meals, and even the smoky scents of Cuban cigar-rolling – as well as special wine pairing dinners for a truly memorable culinary experience in this unbelievable setting. Elsewhere, kids and grown-ups alike will love snorkelling, paddle-boarding and kayaking right off the beach, while a kids’ club and adults-only pool area should keep both happy! Billed as an adults-oriented lifestyle resort, ME Cancun is known for its upscale party atmosphere. Its seductive, sensual style boasts original artwork and sculptures and contemporary tropical design. 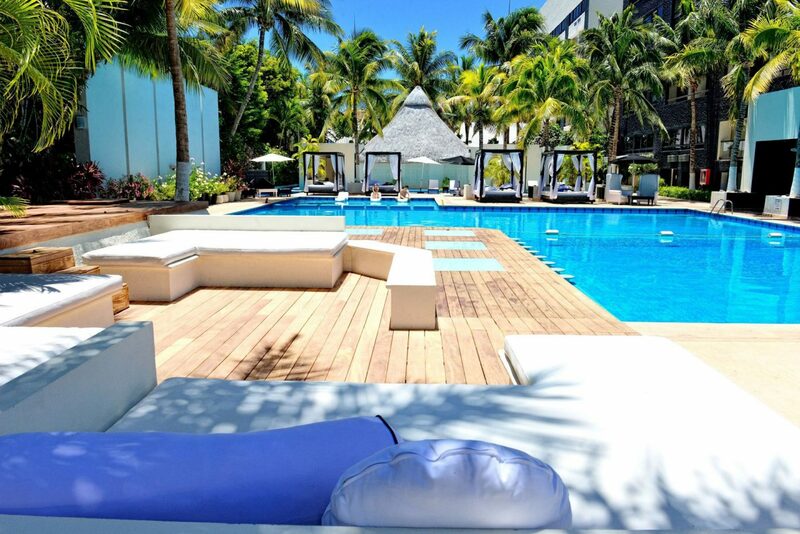 Hit the Beach Club during the day for two adults-only pools and live DJ sets on weekends, or relax at the main pool complete with water ritual. To keep the body in top beach shape, guests can take advantage of the 24-hour gym, or indulge the senses in the thermal circuit at YHI Spa. In the evening, balance out all that exercise with mouth-watering cuisine at the resort’s decadent restaurants with the all-inclusive plan, then spend the night dancing and drinking at the chic Rose Bar and Rose Bar Deck. A prime location right by Cancun’s most beautiful beach and the iconic El Mirador lookout point gives this resort the best views in the Hotel Zone. Most of the guestrooms here have views of the intense blue and turquoise Caribbean Sea, perfect for experiencing Cancun’s stunning signature colours. The immense pool area is among the best in Cancun too, featuring numerous interconnected pools: some designed for relaxation, others for games, and the infinity pool for enjoying a drink from the swim-up bar and amazing ocean views. Kids will love the pirate ship splash pool, complete with mini water slides for fun in the sun. 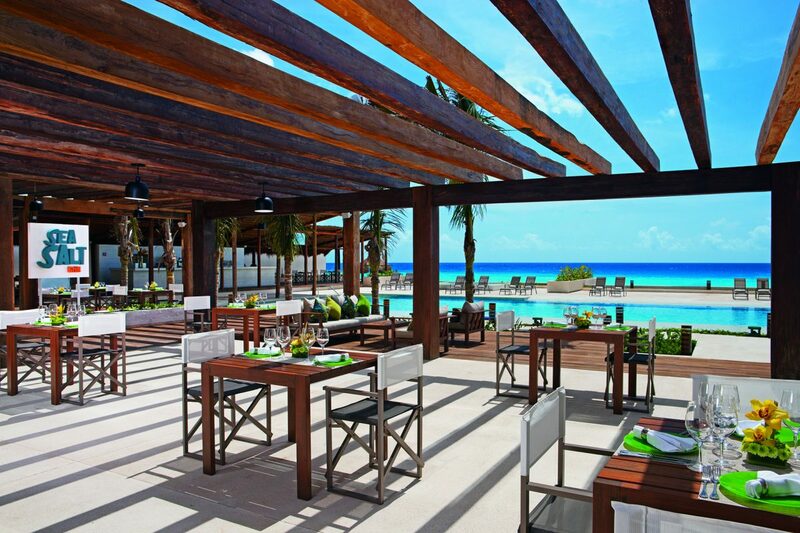 With the all-inclusive plan, guests at Iberostar Cancun have access to five international restaurants, five bars and a casual snack bar. 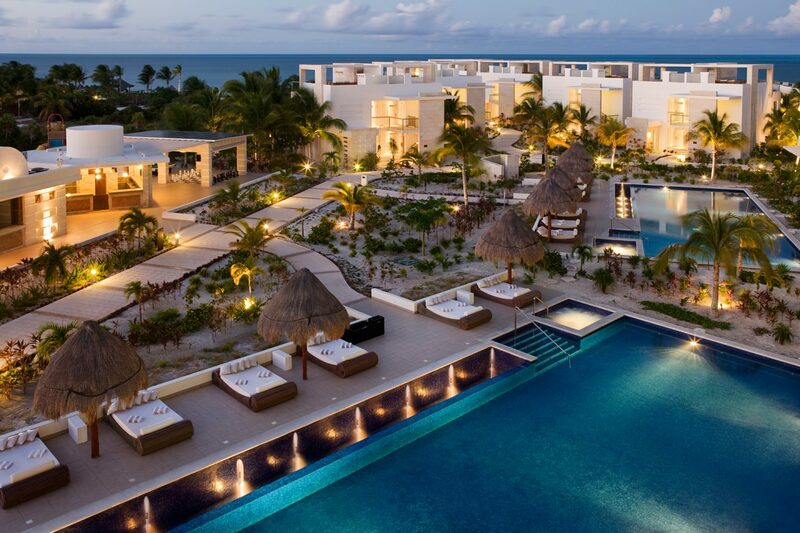 Pool and ocean lovers will find a true paradise at this Cancun resort!